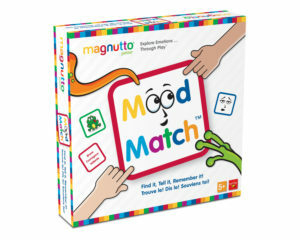 Magnutto® Mood Match™ The Find It! Tell It! Remember It! 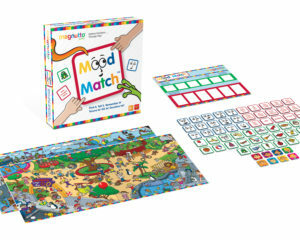 Game – What if a visual perception game, storytelling challenge and memory contest all came together in a grand adventure that inspired silly stories and boosted kids’ emotional IQ? Players get to find it, tell it, remember it while playing a game board you just gotta see. FUN way to develop the next skills that build EQ.